My paintings investigate the repetition of patterns in life forms, centering on the transitional moment between order and chaos or life and death. As life unfolds, patterns expand back into each and into themselves. 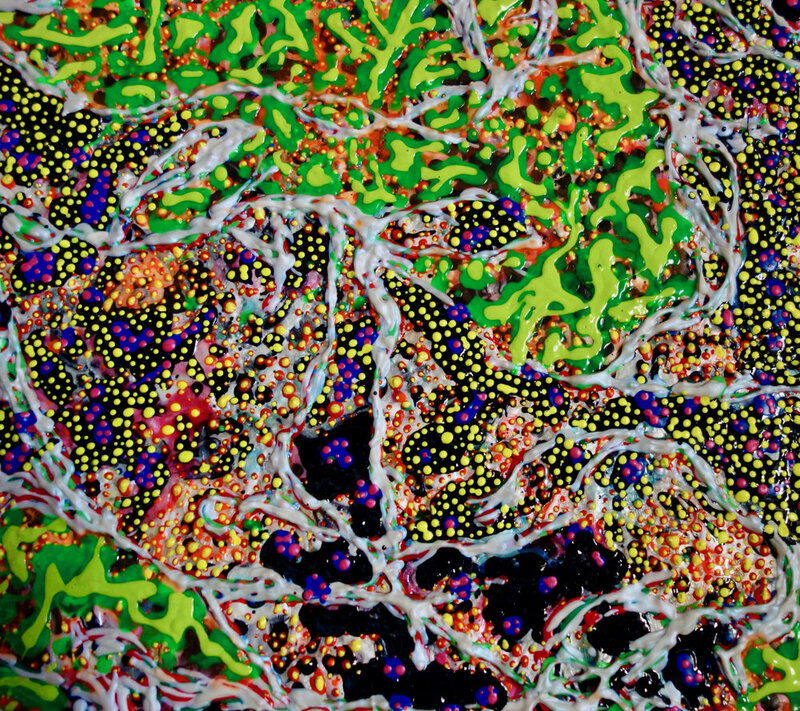 By layering clear pools of acrylic polymers with applications of acrylic paints and gels, I experiment with a variety of textures similar to the fluid qualities of the microscopic world.